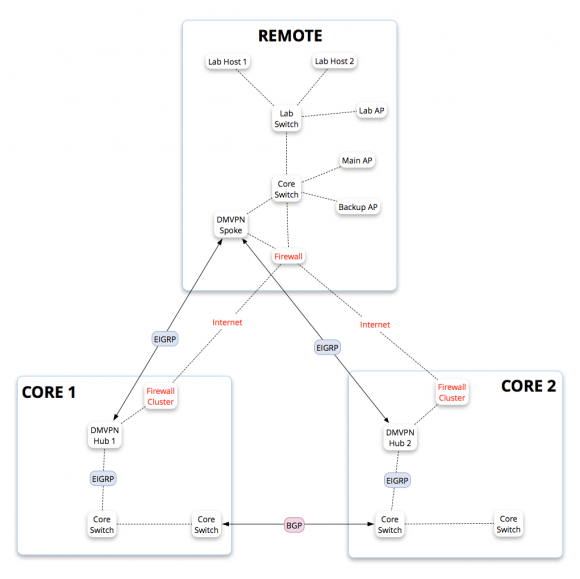 Scapple: The $15 Network Diagramming Tool? …an easy-to-use tool for getting ideas down as quickly as possible and making connections between them. It isn’t exactly mind-mapping software—it’s more like a freeform text editor that allows you to make notes anywhere on the page and to connect them using straight dotted lines or arrows. If you’ve ever scribbled down ideas all over a piece of paper and drawn lines between related thoughts, then you already know what Scapple does. I saw a cool Scapple screenshot, and my brain immediately leaped from free-form mindmapping to network diagramming. Draw boxes, label them with some notes, connect them to each other with different style connectors? Um…yep. That’s what I do in Visio, only Visio makes me want to shoot myself in the face. Microsoft has given Visio the tragic ability to complicate everything for the end user. Even connecting objects in Visio is unpredictable, because you never know where attach points will be found on a given icon. Any Visio document I’ve created is court admissible evidence of hours I spent frustrated and irritated. I hate using Visio, really. I suppose you get that by now. Moving on. Back to Scapple. It is indeed a simple, easy-to-use tool. Scapple does not have a lot of capabilities, but for building simple network diagrams, it’s really quite effective. Will it replace Visio? Perhaps not, but I find I was able to do much more with Scapple than I was expecting in a short period of time. Here’s a sample diagram that I threw together in 30 minutes or so, including the time it took me to figure out some of Scapple’s formatting options. So judge for yourself. Is Scapple worthwhile? Now, recall that I’m somewhat re-purposing Scapple for my own ends. 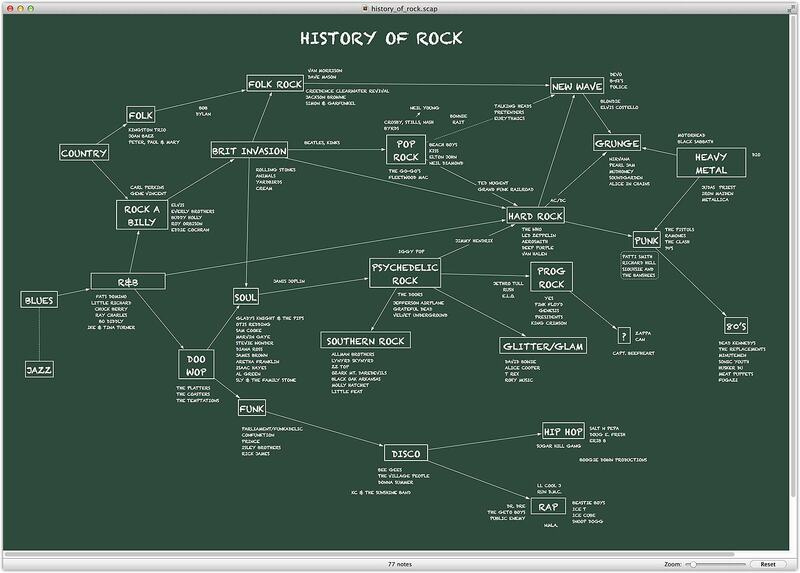 Scapple wasn’t intended to create network diagrams – it’s more about mindmapping, right? Still, for $15, I don’t see how you could go wrong if Visio makes you die a little inside every time you start it up. cool diagram and I just love how you’ve styled the website. super easy to read and navigate, thank you! Have you tried Lucidchart? I feel your frustration with Visio and have found it as useful alternative, especially when I’m at home on OSX. No, I had not heard of it. I’ll try to remember to give it a look this week. Thanks for the recommendation! Is this really any more value if you have something like Omnigraffle already? For $15, is there room for both in your toolbox? I guess it’s all what you’re comfortable working with, and what you’re trying to get done. For me, Scapple makes doing certain tasks – like connecting objects – very fast. So, for quick diagrams, I really like it. But Scapple has its limitations, to be sure. Then again, it’s $15. In my world, I see Scapple as the tool for simpler diagrams, and then Visio or Omnigraffle for more complex diagrams. So, do you live in the Mac OS X – VM with Windows environment? Do you have a preference? I find myself tired of the back and forth between applications. Any suggestions? I use Windows in a VMware Fusion VM, yes. But…I don’t use it that much. Less and less, as a matter of fact. Visio is the big thing I use this VM for, and also to run the vSphere client. Other than that, I run applications natively in OS X as much as possible. That said, I find the Microsoft applications for Mac to be both the least responsive and most likely to blow up. So, while I use Word, Outlook, Excel, and Lync, I don’t like them very much as the experience is not pleasant. Therefore, I only use them when I must to work with a third party. I have replacements for almost everything else. Pages replaces Word. Keynote replaces Powerpoint. Etc. Agreed on the Visio front. It often leaves me wanting to grab my cheeks and pull my face inside-out. I frequently find myself reverting to Powerpoint or good, old pen and paper for the quick-and-dirty jobs. Have you given that a try? I’d be curious to hear if Scapple is still necessary when equipped with Powerpoint. I just bought wife Scapple because she hit the size limits of PowerPoint on a website map she was creating for a client. Might say more about that client’s site than PP though.